In the Cool and Cage Pro golf shoe, Ecco are briging new heavyweight tech to consumers. Find out how the products came to life. GolfMagic spoke to Ecco golf shoe global PR and marketing manager Rebecca Sclippe at the 2017 PGA Show in Orlando. 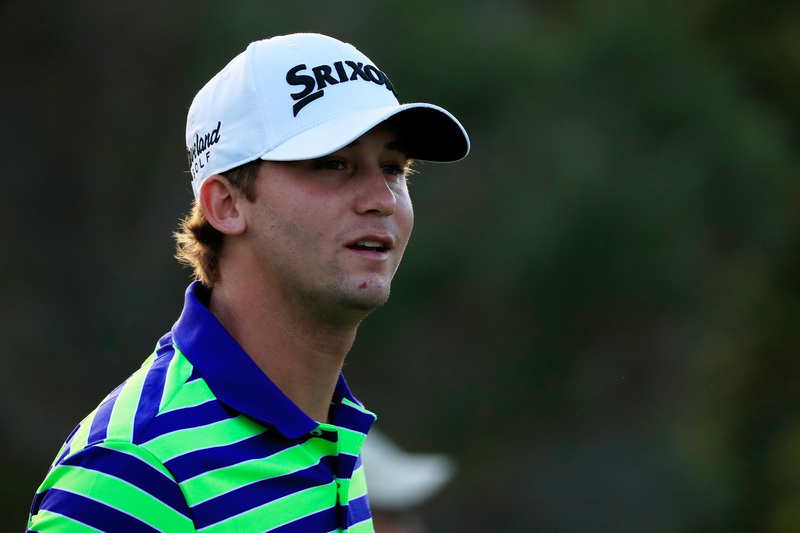 Tell us about the Cool Shoe – why should golfers be excited by it? This is one of our highlights, the Cool shoe. 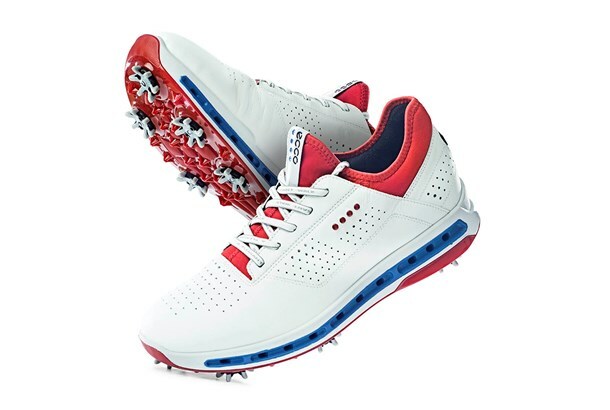 It has Gore-Tex technology in it which is the first time ever in the golf industry for shoes. The shoe is 100% waterproof in its entirety because of a Gore-Tex membrane which also makes it highly breathable all over the shoe. A special midsole is inserted, which you can see - there are holes that run through the bottom of the shoe. As you take a step, air flows in through these channels and then up into the foot, and as you step down the air comes out again, offering enhanced ventilation. It doesn’t allow any moisture in, but the membrane and ventilation system allow the moisture your foot makes to escape. Your feet will stay dry in all conditions. How did the partnership with Gore-Tex come about? Gore-Tex came to us with the technology. The concern was that with the Gore-Tex layer, the shoes may be too hot because you’re adding another layer, so we had to think around that problem. They suggested putting some holes in the sole to have air coming out, but the problem was they could clog up super fast with mud, sand and so on. At the same time, we did not want to compromise walking comfort. So we tried a lot of different things, and holes in the midsole worked really well. There was a lot of testing involved – especially as Gore-Tex will only put their name on something if it is top quality. When something is branded “100% waterproof”, how stringently do you test to make sure this is the case? Gore-Tex test all materials that are used in the shoe, to make sure none of them soak up and store the water. Once they are approved, we test the whole shoe in a bed of water, where we submerge and flex the shoes for hours and hours. We then put water inside the shoe and test if any comes out. And what about the rest of the shoe? Ecco quality tests all the materials and the grip. Once the technology is approved we test the playability, by giving it to golfers and seeing how they get on. Ok – what about the Cage Pro, your other big shoe for this season? It’s our spikeless highlight. We created a hybrid outsole because we wanted something that was really strong on traction, so we made the Spydr grip. This organic design arranges the traction bars in a way that is aligned with your natural pivoting points, to support your foot. There is better connection, and also it minimises clogging of dirt on the shoe, meaning more grip. They are also really soft on the greens which is a big benefit. We’ve had great feedback, testers said this was the golf shoe with the best grip they’ve ever had. This is the first time we have used BOA, and we have it on the spiked Cage shoe and Cage Pro. We have chosen to put it on the top, it gives a more even closure around the foot and adds to stability. How long does the development process usually take at Ecco, from the ideo of a shoe through to having the product in its finished state in your hand and ready for market? 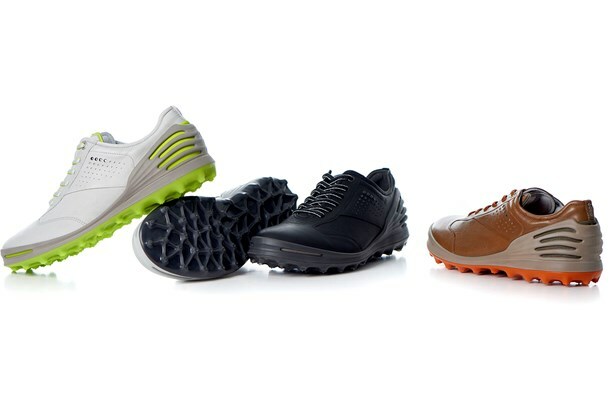 It can take a year, year and a half to develop a new Ecco golf shoe – sometimes more. You have the designer who has an idea – let’s say for a new sole - and he is working closely with the R&D department who then produce 3D versions of the sole, testing those versions and changing it. We then go to our factories in Portugal and test prototypes, using different materials. Because we make our own leather we have fantastic varieties, and can innovate a lot. We have a whole bunch of new leathers we can use with each product. Is the sole where designers always start when designing a shoe? The shoe is pretty much two developments – the sole and the upper. The upper can be quickly made, while a new sole is a big change. The way we make our shoes is by direct injecting material into a mould, which allows the shoe to bond without seams or stitching. To do this we have to mill incredibly expensive moulds, and there are a lot of steps we have to go through before we do the moulds. If we want to do a new sole then the designer will start always on the sole, as this normally informs what you want the rest of the shoe to do.